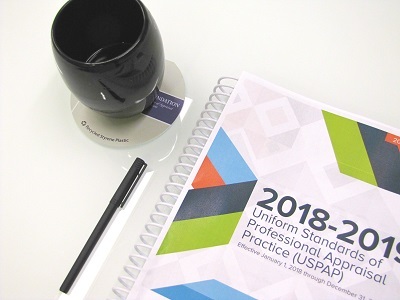 The Appraiser Qualifications Board's (AQB) Uniform Standards of Professional Appraisal Practice (USPAP) Instructor Certification Program was implemented in February 2002 to certify instructors to teach USPAP. The intent of the Program is to enhance public trust in the appraisal education system by ensuring AQB Certified USPAP Instructors meet the highest performance standards and qualification criteria to improve their effectiveness as educators, as well as to provide uniformity and consistency in the quality of USPAP education provided to students. 2) the AQB Certified USPAP Instructor Recertification Course (IRC), which establishes polices and qualifying criteria for the re-certification of existing AQB Certified USPAP Instructors. The courses listed below must be taught by an AQB Certified USPAP Instructor. *NOTE: Only AQB Certified Instructors can teach the above courses. Additionally, USPAP Instructors should be aware that in order for a real property appraiser to receive state education credit for attending a National USPAP Course (15-hour or 7-hour), the USPAP Instructor teaching the course must be a current state Certified Residential or Certified General appraiser in good standing. To file a complaint against an AQB Certified USPAP Instructor, please download and fill out this form. Frequently Asked Questions regarding the AQB Certified USPAP Instructor Program certification process. Existing AQB Certified USPAP Instructors, click here to access Sharefile and obtain USPAP Course materials.